The Royal Geetanjali Bride-Groom look is made with mesmerizing sessions for revitalized skin, hair and body with salon services for them to enhance their looks naturally. 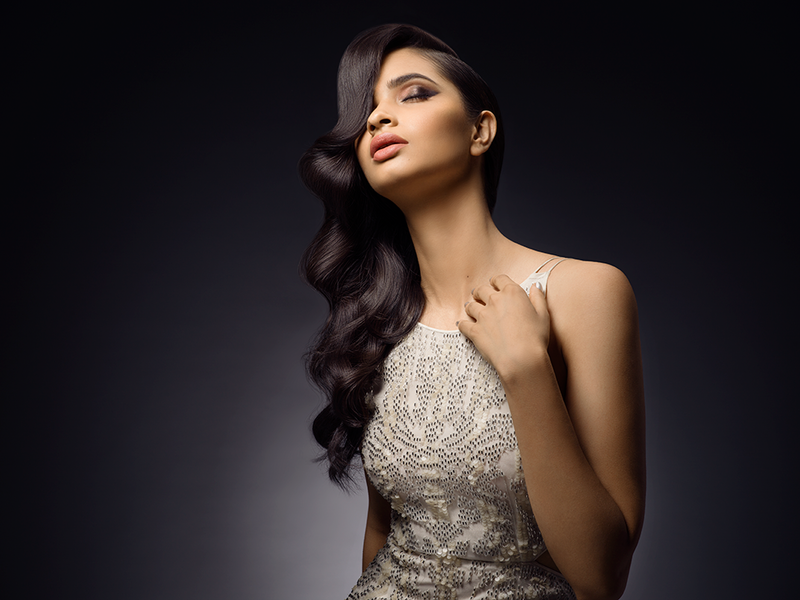 For the awaited day, a remarkable makeover follows… with Geetanjali Salon Makeup & Hair Experts. The Royal Geetanjali Bride & Groom, are one of a kind! 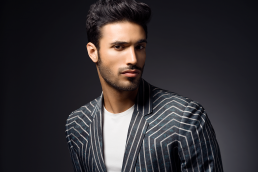 Mr. Sumit Israni is the archetype of a Hair Stylist and a Businessman. 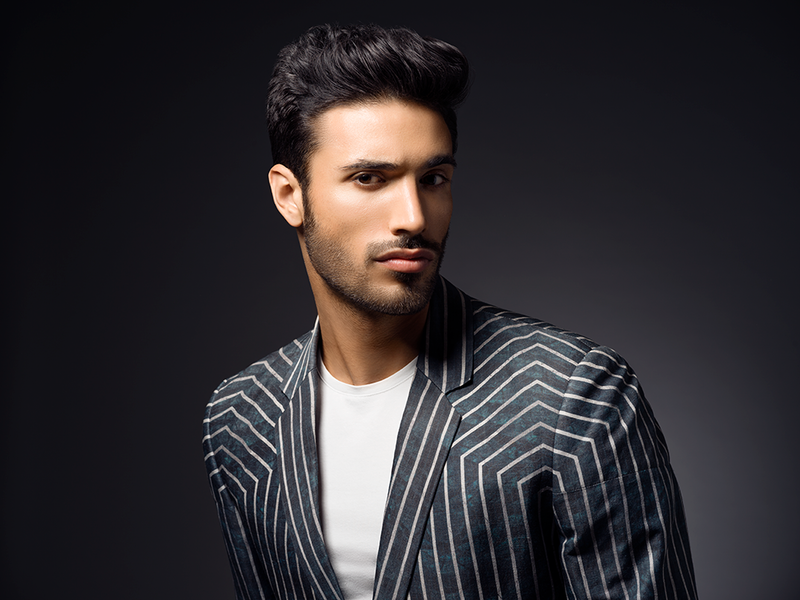 He is an Artist looked-up-to by Hair Stylists across the world for his knowledge of hair, creative cuts, usage of tools and color techniques. Nonetheless, he is a businessman looked-up-to for his vehemence for Geetanjali Salon, making it the most stable and fastest growing high street salon chain in India with world-class amenities. Some are born great, some achieve greatness, and some are effortlessly Beardos. Ever wondered why all great men sport beards? We pondered upon this thought and found that men with a greater cause and intellect accept their individuality, are rational and are always open to out-of- the-box ideas (some even come up with them). They take pride in being real and different, just what it takes to be a Beardo. Anybody can grow a beard but not everybody can be a Beardo. 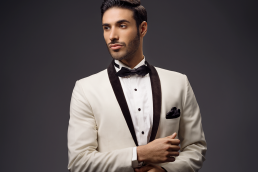 The 21st century has given a new meaning to being a man…men may look tough by the exteriors but they’re sensitive and empathetic towards everyone and they are not shy to show their softer side. While the fashion and grooming habits of men have changed over the years, a broody bearded look is a classic and still loved the most. With various bearded looks back in rage, Beardo observed the lack of grooming products for men and therefore decided to change the grooming game for men with exclusive products made using choicest ingredients and a quality controlled manufacturing process. Beardo is not just a beard care expert that only focusses on beard grooming products, we’ve also forayed into men’s skincare range that includes scrub, moisturiser, masks, bodywash, serums et al and a carefully curated hair care range that focuses on hair types and various hair problems that men are prone to. We always come up with breakthrough products which are hassle-free to use and are effective on men. 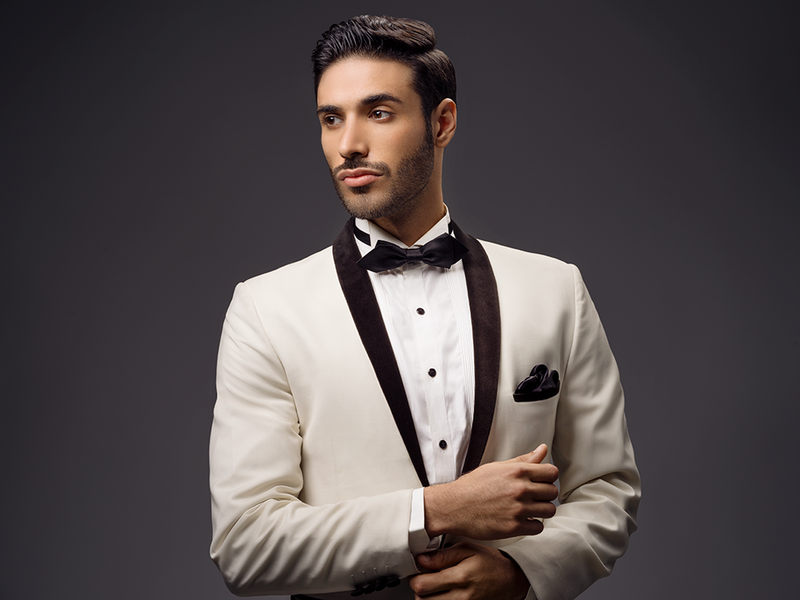 Our primary focus is to change mens’ grooming game and help them become stylish and sexier than ever. Being a true-blue Beardo at heart, we’ll always bring forth products that men don’t merely need but truly deserve. Present in more than 120 countries, L’Oréal Paris provides accessible luxury for all those who demand excellence in beauty. A philosophy which stems from the research carried out in our laboratories and our will to make professional expertise accessible. Icons of the arts, fashion and beauty, our spokespeople are passionate and talented individuals. These women and men of all ages, looks and origins are sources of inspiration for our generation thanks to their vision, engagement and talent. Some of the iconic & innovative products from the L’Oréal Paris portfolio available in India are Excellence Crème, Total Repair 5 haircare, Youth Code, Fall Repair 3X, Revitalift, Volume Million Lashes Mascara, Colour Riche lipsticks, Superliners and True Match foundations. The art of perfect hair celebrates its 50th Anniversary this year. Since its inception in 1964, Kérastase has always provided the finest quality in hair care, avant-garde formulations which anticipate the wants and needs of not only hair dressers, but also consumers. Kérastase has proven its capacity to truly beautiful hair, from scalp to ends. Today, inspired by women’s determination to be beautiful in their own unique way, Kérastase has newly launched its Couture Styling Range. L’Oréal Advanced Research has played a key role in its visionary capacity to serve this luxury brand at the very initial stages of product development. Products which anticipate the demands of its stylists, the true artisans of beauty. To understand and serve the idea of beauty for every woman, to innovate, to reveal and to enhance women’s hair, So, that it becomes an integral part of their personalities. With innovative, inspiring, sensorial products which are pleasurable and easy to apply and offer peerless performance. Agelock is designed with scientific expertise & pure flower and plant essences for visible results. Agelock is formulated in Italy which is curative to all skin concerns such as- over active oïl glands, pigmentation, age, spots, fine lines, wrinkles & scars. Biological ageing, exposure to weather changes, stressful mind, frequent flying and harsh exposure to environmental condition compromise the health & beauty of Skin. Agelock believes in locking the ageless skin. Each formulation combines the magic of nature and the wisdom of science, which together bestows immediate and long lasting result. GKhair is a brand with a promise. A promise that all your hair needs will be fulfilled. Whatever your desires may be, GKhair has the experience your hair needs. It is a leader in “the science of hair”. GKhair is the first and only company to harness the beauty benefits of Juvexin. Derived from sheep wool through an environmentally-friendly process, Juvexin is delivered to the hair in its natural state. The Gkhair’s Hair Taming System with Juvexin restores hair by repairing and providing them long-term conditioning and protection. Juvexin is GKhair’s foundation in creating manageable, frizz-free and beautiful looking hair for all those who want it. The Spanish brand that was established in 1966 is today rated as one of the top 10 cosmeceutical brands in the world, offering over 200 products. The brand caters to a variety of skin care needs. 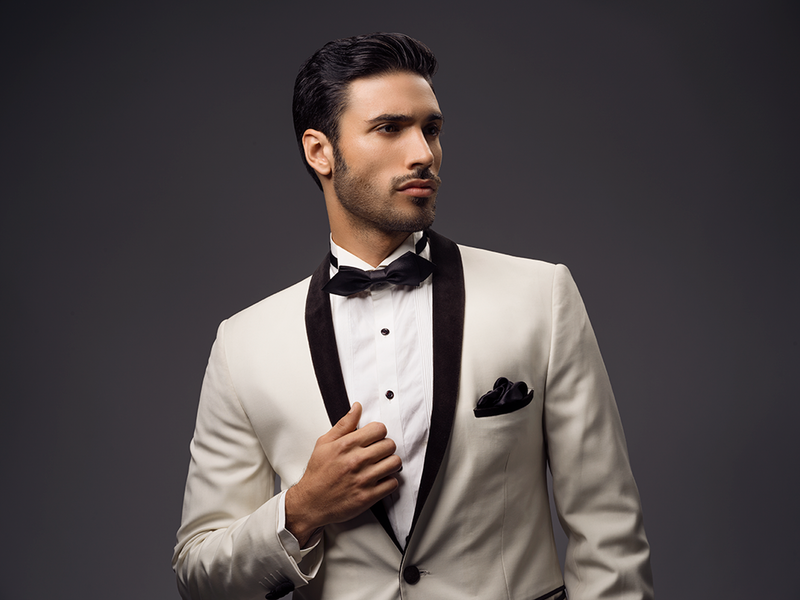 Constant persuit of excellence has been our overriding philosophy, all through these years. Skeyndor enjoys fan following of such acclaimed celebrities like- Penelope Cruz, Monica Bellucci, Jemima Khan, Kelly Osbourne, Kate Mose, Elton John and Naomi Campbell and amongst many others. Skeyndor is an exceptional brand that enjoys great success with various patented products and has bagged many awards globally.